Mazda has held the first of its new Spirit@Mazda customer focused training programmes for its dealer network designed to immerse staff in the brand’s culture. Spirit@Mazda is the sister programme to the established New to Mazda event and while both programmes focus on creating brand advocates for Mazda, the new event focuses in those who have been with Mazda for several years. The ultimate aim is to inject Mazda’s passion and enthusiasm into the delegates so they go back to their dealerships and share this passion with their own customers. The first event was held at Donington Park with 120 attendees with the opportunity for delegates to drive the entire Mazda range along with competitor models, test out safety features and there’s also a specific session dedicated to the MX-5. 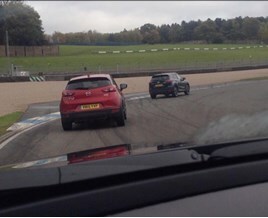 Delegates experience a ‘hot lap’ on track with a professional racing driver as well as testing the handling of the all-new MX-5 on a relay race circuit. Matt Jones, from Colliers Mazda, said: “It was good to get a real-time comparative look at the various segment competition, although I have been in many of those cars before, your memory tends to gloss over the actual feel of the materials used and build quality. Carl Gregory, head of the Mazda Academy, said: “This is more challenging, and more all-encompassing than anything we’ve done before at Mazda – it lives up to our promise to ‘defy convention’. Spirit@Mazda is the third staff training programme to be launched by Mazda in the last two years. The first, People@Mazda, offers leadership development to dealer managers and aspiring managers. Last year, Talent@Mazda was launched, to overhaul the dealership recruitment process to attract the right people into the network who would become passionate about, and stay with, the brand.